VSPL is a specialist integrator that designs next-generation storage platforms to improve the way organisations capture, store and protect their critical data at scale. Vector & Scalar Products Ltd (VSPL) was established in 1988 by Russ Gadd and Barrie Alaway to provide leading edge super computing solutions to the scientific community around Europe. VSPL is derived from the different types of processors used in the supercomputers sold back then, like Cray Supercomputers. Vector supercomputers simply couldn't keep up with the price/performance of microprocessors and there was a trend towards parallel processing. VSPL reacted to the market and offered systems with superscalar microprocessing re-establishing VSPL as a High Performance Tech Compute (HPTC) partner with Digital (DEC). To remain relevant to modern day working VSPL has continued to adapt and evolve as a business with technology advancements, yet still rely upon its deep knowledge of HPC gained over many years when supporting its customers. So what does VSPL do today? VSPL utilises 30 years worth of knowledge and experience to provide custom, scalable and efficient storage solutions and services. VSPL is a small dynamic company that works closely with departments within large organisations, and has a history of supplying data-centre infrastructure to users within Central Government, universities, research organisations, education, local authorities, schools and law enforcement. It offers demonstrable experience in delivering enterprise wide projects, and relies upon an efficient and knowledgeable low-churn team that maintains benchmark industry accreditation in order to provide reliable input at key stages throughout every engagement. 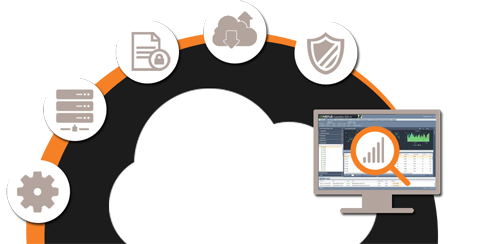 The ethos is to provide its customers with an agile, responsive IT computing solution to suit any budget. What makes VSPL a little bit different? By combining its unique capabilities as a solution provider and integrator, VSPL creates real value for its customers by providing an integrated suite of solutions and services that enables IT to adapt to evolving business requirements. That means if a product is not available off the shelf, VSPL will integrate a solution by combining products and services from its vendor partners, customise Component Off The Shelf (COTS) technology, or design bespoke hardware and software. Quality is very important to us. We are committed to providing a high level of workmanship and quality for all work undertaken, which is a guarantee to our customers that the products and services they receive from us will be acceptable and meet their expectation and requirements. VSPL is accredited by NQA to the latest ISO 9001 : 2015 standard under certificate number 5189 for the supply, installation and warranty repair of computer hardware and peripherals and the supply of proprietary software.